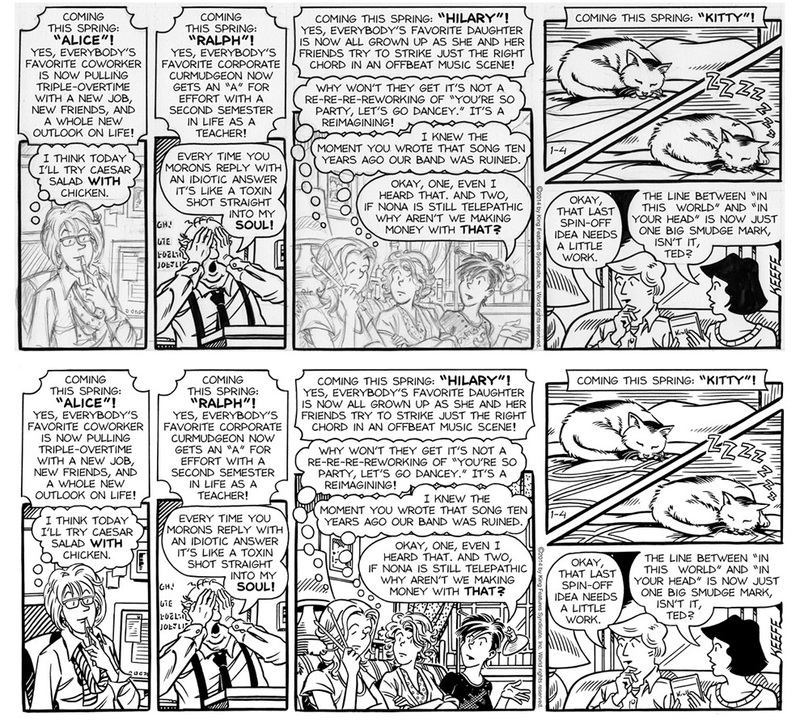 A quick look behind the scenes of the January 4, 2015 Sally Forth Sunday page. First off, how the characters originally looked. The following is Francesco Marciuliano’s description of the new look for the characters from the script. This is a redesign for Alice that hews closer to her look in the flashback strips in October. Though Alice does not have a Rachel cut she does have something far more flattering and softer than her classic look. She may even have hipster black frame glasses (though not big ones). Alice from the flashback strips. This is the first time we see Hilary, Nona, and Faye all as twenty-somethings. I very much like the style you have used to show other female characters in the strip (like the guests at Jackie’s baby shower) and would love to have you employ that in the looks of these three characters, while keeping true to who they are. And here’s the pencilled version of the characters along with the inks. Note: Click on images to see larger. Alice: Hair is a more mature version of the hairstyle in the flashback strips – beehive a thing of the past. Glasses updated as well. Nona: Cropped shorter – she wants something easier to manage as looks aren’t her focus. Beautiful but unaware of it. Faye: I see her experimenting more – trying out colors. soft magenta tips. I was thinking a small tattoo but nixed it as it seemed borderline cliche. And last but not least, the color guide followed by the finished piece. For how the color notations work, check out my post, Coloring the Sunday Comics. 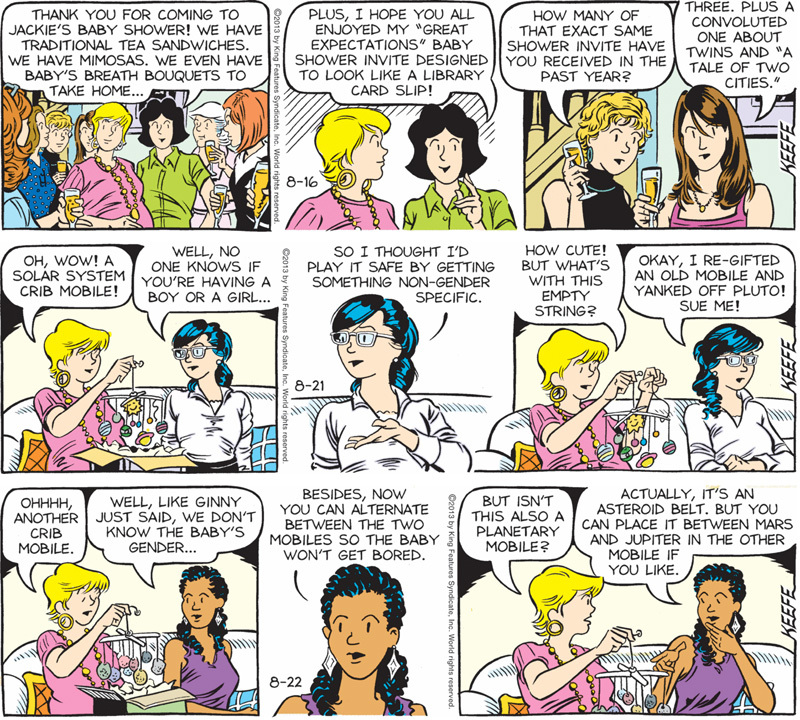 I hope you enjoyed this little look behind the curtain on the Sally Forth strip.